Boy has it been a long time since an update here or what?! The advent of Facebook has taken its toll on forums and unfortunately, I've been an unsuspecting victim for too long, so without further ado, I give you fine folks of CC a much needed update. The truck has seen a lot of change in the last year. It started with the rabbit hole of YouTube, and the next thing I know, I'm out searching CL for a Mercedes engine. Not just any Mercedes engine, though, but the infamous 5-cylinder OM617 Turbo Diesel! 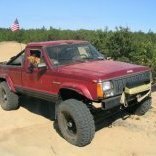 I found one that a guy was pulling from a wrecked 1983 300D W123 Sedan, and got it for $540. I won't bore y'all with all the little fixes and monetary investments, but I will say that it got rather expensive pretty quickly (nearing $4,000 if I haven't already went past it haha). Part of that expense, besides an adapter plate for the AX15 and motor mounts, was a Dieselmeken 7.5mm upgraded injection pump (dubbed the 'SuperPump'), a genuine Holset Hx30W turbo, and an intercooler. So many custom things on this build, but I'm nearing completion and I can't wait to get her back on the road. That knock of a diesel and the whistle of the Holset will surely turn some heads! Hell of an update! Good to see you come around. hey, now that there's a new heart in the beast, would you like to start a new Epic Tech thread? Nice ... great to have you back... I had to go back to the om617 page to confirm it was you. Lol. Glad to be back around!! I can and will once I get all my photos, videos, etc. gathered into one place and back track a little lol. Just curious, who are you on the OM617 Swaps page? To answer your question, I'm at about $4k ± a hundred. Isn't cheap, but it is fun. 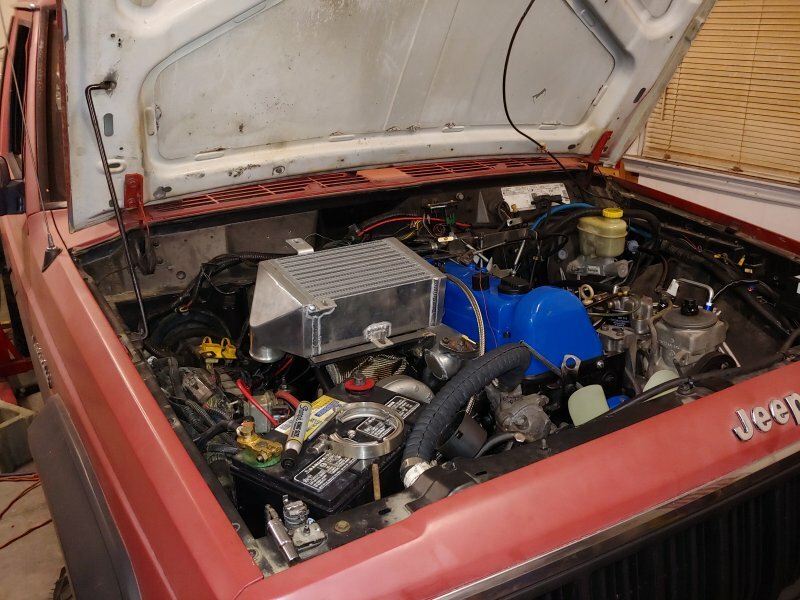 Biggest two expenses, after getting the stock engine up and running, was the upgraded injection pump and the turbo. I bought a Dieselmeken 7.5mm pump from Göran in Sweden (~$1100 USD) and a gently used genuine Holset Hx30W (~$450).